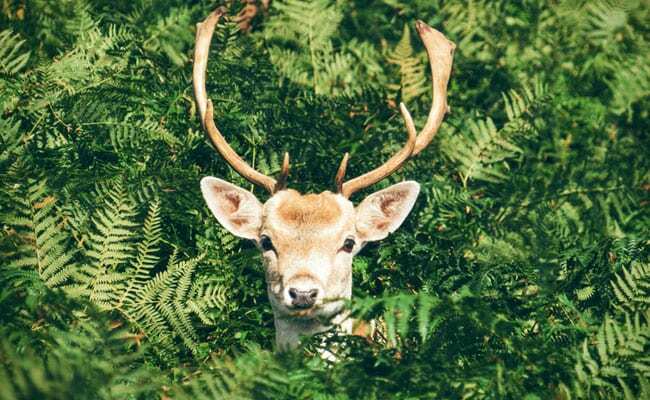 Situated in the North Sea dunes just west of Amsterdam, Zandvoort has over the past decade been invaded by thousands of the boisterous bucks running down its roads and decimating residents' gardens. Although the deer are supposed to stay in the arid dunes of a nearby wildlife reserve, they appear to prefer Zandvoort's greener pastures, and the erection of gates and fences has done little to keep them out. But now the town is mulling a new weapon -- a "smell dispenser" which will release an odour which smells like lion manure that will hopefully scare them away. "Residents want to keep the deer in the dunes, they don't want them in town," said Patrick Stijger, whose company makes the dispenser, telling AFP it would be mounted on a pillar. But rather than use lion manure, it creates the odour in a lab using oils, 17 different herbs and a substance known as tupoleum, which "stinks like an ashtray that has been left out in the rain for three days," Stijger told the Amsterdam daily Het Parool. "It makes the deer a little anxious," he said of the substance, which was developed by a German scientist to keep deer away from Christmas trees in nurseries. Although the Dutch deer are unlikely to have ever come across a real lion, the smell stimulates a deep-rooted fear in all animals, Professor Nico van Staalen of Amsterdam's Vrije University told the paper.